The Feast of the Apparition of the Daughter of Fortitude – Zero Equals Two! Tomorrow, May 23, is the Feast of the Apparition of the Daughter of Fortitude. This feast celebrates Edward Kelly’s vision pertaining to Our Lady Babalon, which occurred May 23, 1587. 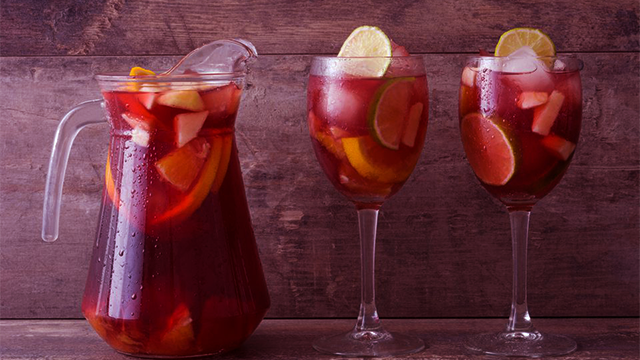 In celebration of Our Lady Babalon and her cup of fornications, here is a recipe for a delicious red sangria. I am always astonishing by the similarity of this poem to “Thunder: the Perfect Mind” which was not discovered or translated till the 20th centuary.Intuitively I feel it is the same being revealing Herself as there is no way Kelly or Dee could have gained access to a transcript still buried in the desert in a clay jar.Its absolutely fascinating.I am an initiate in the Victor Anderson’s lineage of the Feri Tradition.